There are a lot of great reasons to build a new home in Los Angeles: the year-round great weather; the fantastic locations; the excellent views. However, there is one caveat that all Los Angeles—and indeed, all California—residents have to think about, and that is the chance that an earthquake may occur. Earthquakes are not a regular occurrence in Los Angeles, and most are minor enough that they do not do any serious damage. However, occasionally, a big one that is high on the Richter scale may happen, and when it does, it causes significant damage to the city’s infrastructure. The fact that a big seismic event is always a possibility has prompted California to issue strict building codes designed to mitigate the damage caused by an earthquake. These codes are designed to help save lives, property, and personal belongings. These building codes apply to all newly constructed structures, of course, but older pre-code buildings need to be reinforced in order to lessen the impact of a severe seismic event. 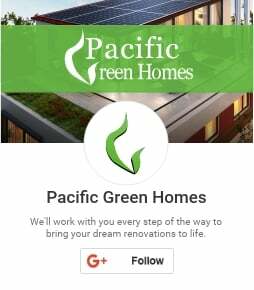 Pacific Green Homes builds homes that have all the safeguards necessary to make a home as earthquake resistant as possible. Contact us so that we can build the safe and secure home that you desire. California has suffered its fair share of earthquakes over the years, and after each one, the building standards for new structures have increased to make them more earthquake resistant. The devastating Northridge earthquake of 1994 was the impetus for the new stricter building codes. These new standards are very effective, as proven by the fairly young suburb of Chino Hills; this community was built to the strict new earthquake building codes in the late 1990s and in 2008, it was hit by a 5.5 magnitude earthquake. Tilt-up construction is when the walls of a building are built horizontally on the grounds of the construction site and then lifted—or tilted—to a vertical position by a crane. This is a fast, cost-effective means of construction, but these types of buildings tend to perform poorly in earthquakes. That is why older buildings need to be seismically retrofitted in order to adhere to the strict earthquake building codes. If a house has a crawl space, then the cripple wall is what surrounds it. Cripple walls are located between the floor of the home and its foundation, so they are what support the weight of the home. In the event of an earthquake, the most common kind of structural failure in the homes of Los Angeles is a failure of the cripple wall. If the cripple wall is not reinforced, then there is a very high chance that it will collapse, causing the house to roll off of its foundation. The new standards suggest bolting the the cripple walls to the foundation and reinforcing them to make the structure more stable during a severe seismic event. A soft wall line is one that is less than 70% of the stiffness of the exterior wall above it; a weak wall line is one that is less than 80% stronger than the wall above it; an open front wall is a space that does not have a wall at all, it is usually just an open space for vehicles to park or pass through. These wall lines can collapse in the event of an earthquake, causing the floors above to collapse as well. Both soft and weak wall lines need to be reinforced, while supporting columns need to be added to open walls to prevent them from buckling under the stress of an earthquake. It should not be much of a surprise that homes located on a hillside are vulnerable to the seismic forces of an earthquake. That is why a hillside retrofit is important to brace the home in the event of an earthquake, but it is not a one-size-fits-all type of job. The retrofit is unique to the home, which is why a professional engineer should oversee the job and make the suggestion as to what should be done to make the home more secure. A non-ductile building is one that is stiff, rigid, and does not bend or flex during an earthquake, which makes it more vulnerable to collapse. That is why these types of buildings need to be retrofitted so that they are more flexible during a temblor. Retrofits like steel ties that are closer together, or spiral reinforcement can give the building the pliancy it needs to withstand an earthquake. The earthquake building codes are meant to reduce the damage caused by a seismic event, they are not a guarantee that will definitely prevent any destruction from occurring. However, the codes have certainly been proven to be effective in mitigating the widespread devastation that happens in the wake of a serious earthquake. We at Pacific Green Homes use all the various seismic safeguards of California’s earthquake building codes. That is because we know that a home is not a home unless it is a place where your family can feel safe and secure in any kind of event.